“If you are lucky enough to have lived in Paris as a young man, then wherever you go for the rest of your life, it stays with you, for Paris is a moveable feast. The street narrows and the air shifts; a thick fog of ghost-words descends from the second floor apartment, wrapping around me like a silk scarf. This must be the place. 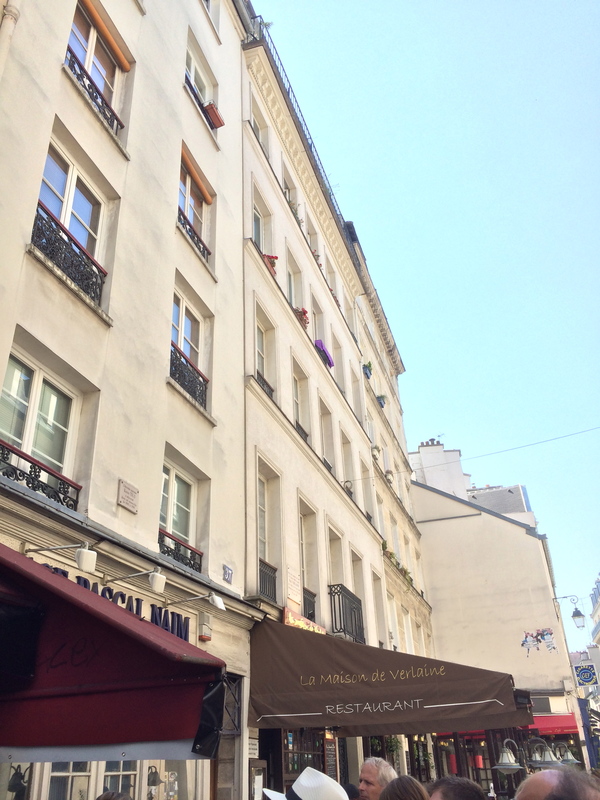 A woman sits outside La Maison de Velaíne, the street-level restaurant at 37 Rue Descartes, bobbing up and down and waving her paper fan as if waving a hanky on the deck of a departing ship. Her boyfriend laughs as he photographs her with his his enormous Canon camera. She becomes self-conscious when I arrive, but continues, not wanting to disappoint. He would have approved. He would have thrown open his studio window, leaned out and yelled something clever, causing her to blush. Perhaps woman-with-fan would have ended up admired or derided in one of his stories. He of course, is Ernest Hemingway: genius, masochist, hero, fool. Whatever you think of him, it is undeniable his succinct style, his ‘what you leave out is just as important as what you leave in’ writing philosophy has impacted generations of readers, writers and scholars. 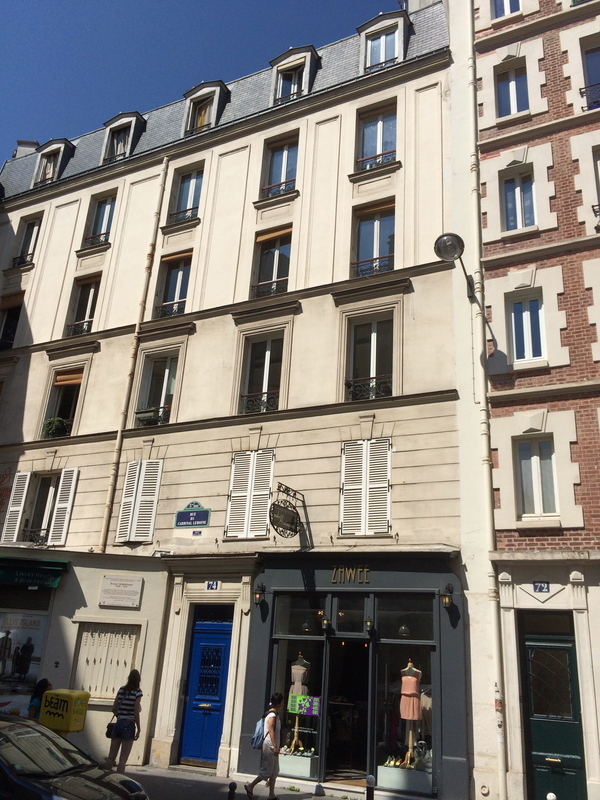 When Hemingway first came to Paris in 1921 he took a studio here at 37 Rue Descartes, and an apartment with his first wife Hadley Richardson around the corner at 74 Rue de Cardinal Lemoine. 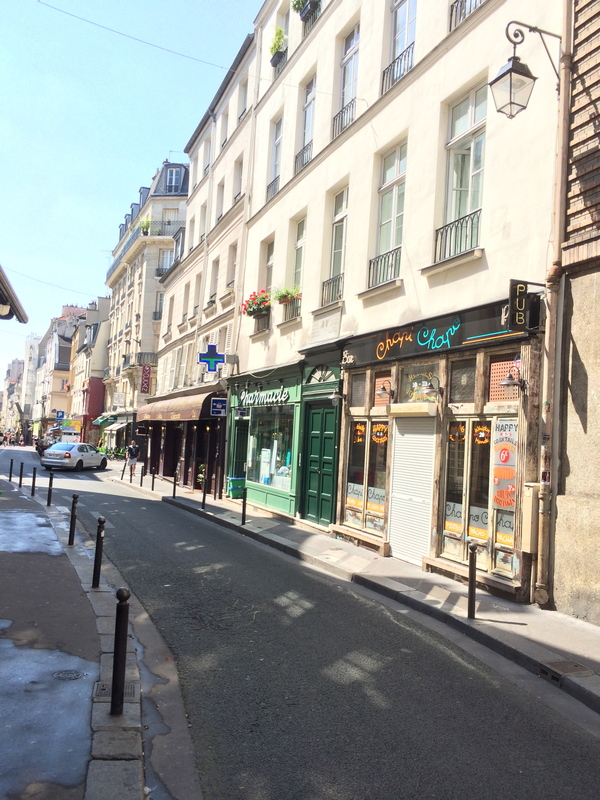 He chose to live in the then shabby Latin Quarter far from Montparnasse where his ex-pat contemporaries flocked. He liked to be ‘real’. He liked to plead ‘poor’. There is much debate about both. My first experience of Hemingway was to slide out Dad’s worn, orange and blue covered hardback copy of The Old Man and the Sea (1951) from his bookcase. I could tell how much Dad loved that book because he’d carefully inscribed his name ‘D. S. Barley’ on the inside cover with Grandpa’s blue fountain pen. Recently I discovered three short stories Dad had written in 1962 as a 16-year-old and was amused to recognize Hemingway’s adventurer-hunter-lover influence. I’ll post them for you here, when I return home. It wasn’t until years later I understood The Old Man and the Sea, and went on to make my way through Hemingway’s other books and short stories. I’m fascinated with the 1920s and 1930s literary and art scene in Paris; Hemingway (and his sometime-pal F. Scott Fitzgerald) are the planets around which my moon of fascination revolve. 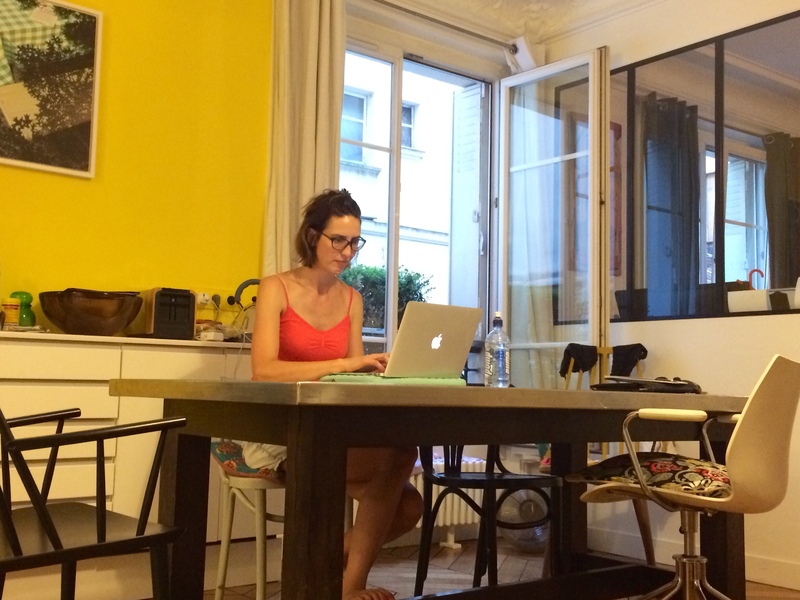 Something happens as I gaze up at the place where Hemingway had worked as a young, hopeful writer. It’s as if the street becomes a painted canvas and all the color drains down in streaks of crisp white and blues and greens and browns, pooling about the place he worked, the studio shining brightly colored and alive against the monochrome streetscape. I hear the chatter of tourists passing by without stopping, the sliding of espresso cups over saucers and the halting laugh of a young man as he urges his lover to keep waving her fan in front of her brown, angular face, both hoping for beauty. It is here, where some of the most brilliant words I have ever read were crafted, that I dare acknowledge the tremor of hope I feel for my own writing. – Thanks to Chris from http://www.pariswalks.com.